Fuzzy similarity measure is a very useful technique in the area of fuzzy decision making. Although various techniques have been developed to measure fuzzy similarity, it can be observed that several limitations still exist. In particular, there are methods that produce inconsistent degrees of similarity with regard to the compared fuzzy numbers which do not reflect the geometric characteristic of the fuzzy numbers. In this paper, a new fuzzy similarity measure for generalized trapezoidal fuzzy number (GTFN) is developed based on distance and geometric shape characteristics like height, area, centre, and perimeter to overcome the problems. Three existing fuzzy similarity measures were selected and compared with the proposed measure. The analysis on eight sets of GTFNs using the fuzzy similarity measures shows that the proposed measure produced a reasonable interpretation of similarity degree based on the graphical representation. Hence, this measure can serve as an alternative method in calculating the degree of similarity of compared GTFNs. The introduced concept in the proposed measure will enable a broader implementation of fuzzy similarity measures in real-world decision making. This research work is funded by the Ministry of Education, Malaysia under the Fundamental Research Grant Scheme (FRGS) with reference number 600-RMI/FRGS TD 5/3 (1/2015). 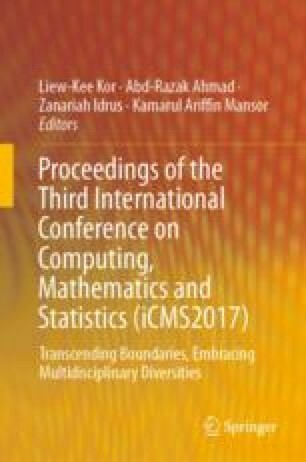 The authors would also like to thank the Research Management Institute (RMI), Universiti Teknologi MARA, Malaysia.